Thank you very much for visiting the Bando-Ryu home page. Are you familiar with the classical Japanese dance known as “Nihon buyo” ? Have you ever seen it performed? Traditional Japanese arts take on many forms including but not limited to Noh, Kabuki and Ningyo Jyoruri (Japanese puppets). Nihon buyo is also considered to be one of the many facets of Japanese art expression. During the Edo period, dance like movements within Kabuki were called “Shosagoto”. However, with time, the dance became more and more independent and developed into what we now refer to as Nihon buyo. Our Bando-Ryu is just one of the many representations within the world of Nihon buyo. The person who unified and became the head of Bando-Ryu style, is considered to be a Kabuki actor by the name of Bando Mitsugoro the Third. He was an Edo era Kabuki actor during the cultural bunsei era (1804~1830), and was succeeded by Bando Mitsugoro the Third who took over the Edo arts. It was Bando Mitsugoro the Third who was famously known for his skill, and who also left behind multiple masterpieces. 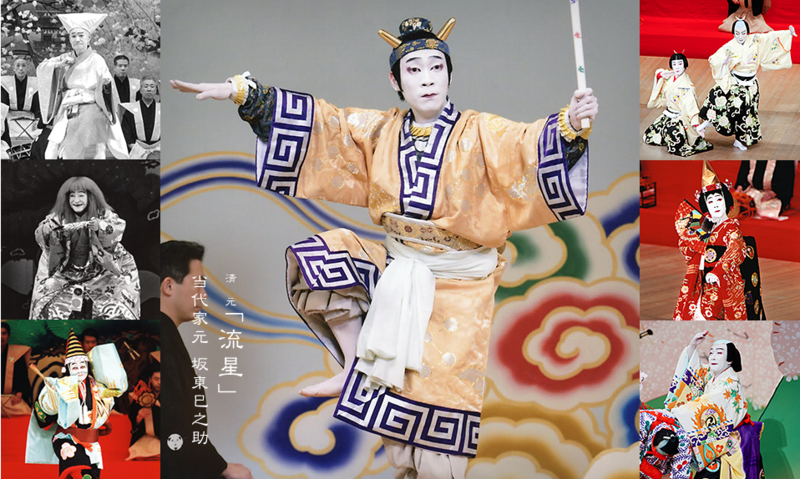 Because a Kabuki actor’s main job is to perform on the stage, they are not able to teach Nihon buyo to ordinary people. So how did the Nihon buyo school come about? During the Edo period there was an Onnakyogenshi (women who preserved kabuki movements) who taught dance in Edo castle’s Ooku. This dance was shown to prestigious families and from time to time to the Shogun’s harem known as the Ooku in the same program as Kabuki. Because men were not allowed to go in the Ooku, only Onnakyogenshi acted out the Kabuki plays. Nihon buyo has been passed down through Onnakyogenshi like this to the present. Because of this, even common people could learn Nihon-buyo. Bando-Ryu wasn't just about just dancing skilfully, it was also about taking great care in 'acting' out each play. If the dancer does not dance with meaning and purpose, even though they may have great technical skill, the piece would lose its heart. Without heart a dance loses its enchantment and simply becomes uninteresting for the viewer. Within the traditional Japanese arts, and differing from Noh and Bunraku, Nihon buyo can be appreciated not only by watching but by performing one’s self. I believe this is the main reason Nihon buyo has reached so far and wide. It is possible to experience a trial lesson in the Bando-Ryu style. If you have any interest at all, please without hesitation, challenge it for yourself. © bando-ryu All Right Reserved.